New Delhi: The Chhatrapati Shivaji Maharaj International Airport is the first in the country to introduce Digi-Yatra, a technology-driven initiative that eliminates ‘boarding pass stamping’ for all domestic airlines operating out of Terminal 2. Under this initiative, passengers would be able to use facial recognition biometrics to enter airports and no other ID proof would be required. From now passengers travelling within the country can now authenticate their boarding pass at a pre-embarkation security checkpoint by scanning the boarding pass barcode or QR code on their mobile phones at the E-gate Reader, using the Live Passenger Dataset. This initiative will save time and improve the overall throughput of the security check procedure. The feature introduced is aimed at reducing the time involved in completing the many pre-flight boarding checks. The self-service facility at the airport has drastically reduced the waiting time and queues at various touch points said the airport spokesperson. The Mumbai airport is the second busiest in the country. It has two crossing runways — 09/27 (the main) and 14/32 (the secondary runway). While the primary runway can handle up to 48 arrivals and departures per hour, the secondary runway has a capacity of 35 movements per hour. On an average, there are 970 flight arrivals and departures at the Mumbai airport every day. Last year, Prime Minister Narendra Modi had unveiled the foundation plaque for Navi Mumbai International airport in Mumbai. PM Modi had inaugurated the fourth container terminal at Jawaharlal Nehru Port completed in record time at a cost of Rs. 4,719 crore. 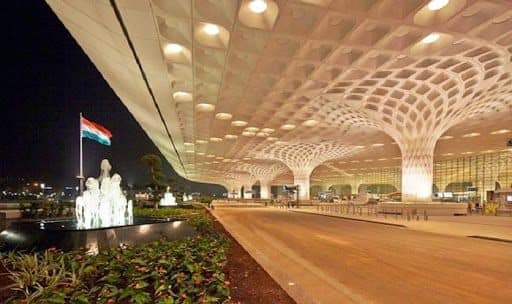 Planned in 1997 as a secondary airport to meet the growing needs of Mumbai at an investment of Rs 3,000 crore, the project was inordinately delayed due to a myriad of factors, including political indecision, issues of environmental clearances and the funding.